The Project Committee is responsible for creating 1 to 2 projects each year. These projects fall under one of four themes: Diversity, Recruitment & Retention, Fundraising, and Communication, which rotate annually based on the JB USA Calendar that starts every October at NJBM. The Project Committee is composed of up to 5 members annually. Hello my fellow JBers!! 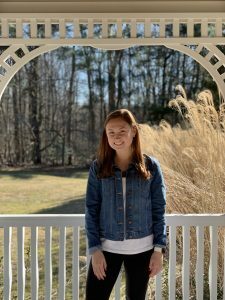 My name is Baily, and I am from the Brandywine Valley chapter. 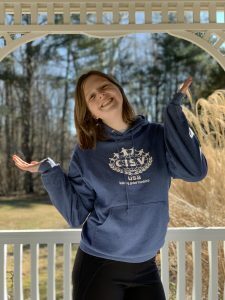 I am currently a junior in high school, and this is my sixth year being a part of CISV. Last year I was a member of the NJBoT (RIP…), but I am incredibly enthusiastic about starting the new Project Committee! When I’m not CISVing, I am running, traveling, or hanging out with friends. Fun fact about me: I have an obsession with decorative pillows. But in all seriousness, I am looking forward to this upcoming year! My name is Susan McLean and I’m a Junior in high school in Austin, Texas. I do online school which means that I have a weird sleep cycle and get up on good days around 10 am. Before this high-schoolers dream of a life I was a member of the Dallas chapter (with whom I travelled 4 times), and then moved to the Austin chapter (with whom I’ve travelled once). Outside of my CISV life I can be found either at hippy-dippy Austin coffee shop or binging unhealthy amounts of The West Wing. Hi I’m Grace and I am one of five on the new Projects Committee this year! I’m from Dallas, Texas (yeeeeehaw) and I am currently a senior in high school. I’ve been doing CISV since I was 10, but this is my first time on a national committee (I am also LJR of DFW Chapter right now). In my free time I play tennis, read, watch lots of crime shows on Netflix, and spread the word that “ya’ll” may be the greatest contraction ever invented. Reach out if you have any questions! Hi! my name is Hughie Moscoe. 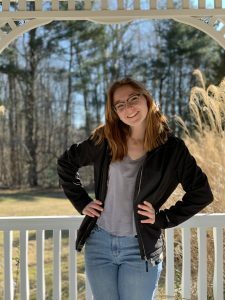 i’m 17 years old, a senior in high school, and I belong to the Brandywine Valley chapter. I’ve been in CISV since I was in 7th grade. 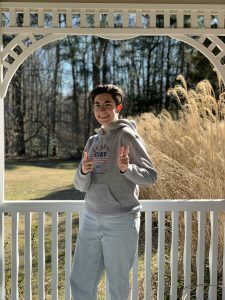 I am the Junior Mosaic Chair on the Brandywine Valley JB board, and I am also on the Project Committee and the National Junior Governing Board. I have two sisters and an older brother, who I love spending time with. My main hobbies are creating art and acting! I’m planning on going to college for a double major in political science and art. I absolutely love my dogs, and am happy to talk to anyone! Hey there!! 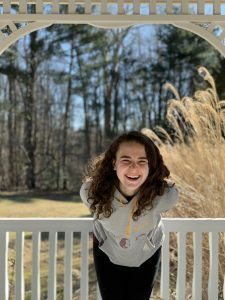 My name is Mollie, and this year I’m super excited to be involved in the Project Committee, as well as being the Midwest liaison for the NJGB. Outside of CISV, I’m a junior in high school and I love to write. I’ve been a part of the Miami County chapter for a little over 5 years now and am currently finishing my last year as co-LJR. Something else about me? I never got over my One Direction phase. Junior Branch, CISV USA, CISV International Ltd.